Ladenia is a simple, quick, yet mouthwatering summer pie with humble ingredients: flour, tomatoes, onions. It is a traditional recipe of the aegean island of Kimolos. It is the greek version of pizza. I decided to make its winter version. 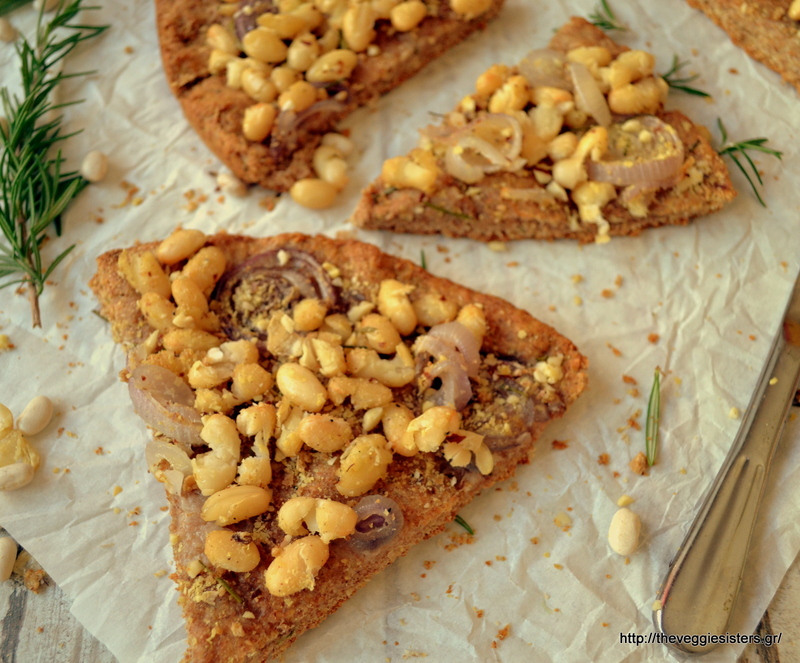 The crust is the same (just halved, therefore thinner) but I used beans, rosemary and onion to make it ideal for cold winter days, It is a nice way to eat more legumes!Have a lovely day! In a bowl combine flour with yeast and salt.In another bowl combine 1/2 cup of olive oil with water. Combine the two mixtures gradually. Knead until you get a soft dough. Cover the bowl with a towel and set aside for 30 minutes. Then roll dough on a greased medium sized baking pan. Place onion slices, pour the rest of the oil and bake in preheated oven at 180C for 30 minutes. 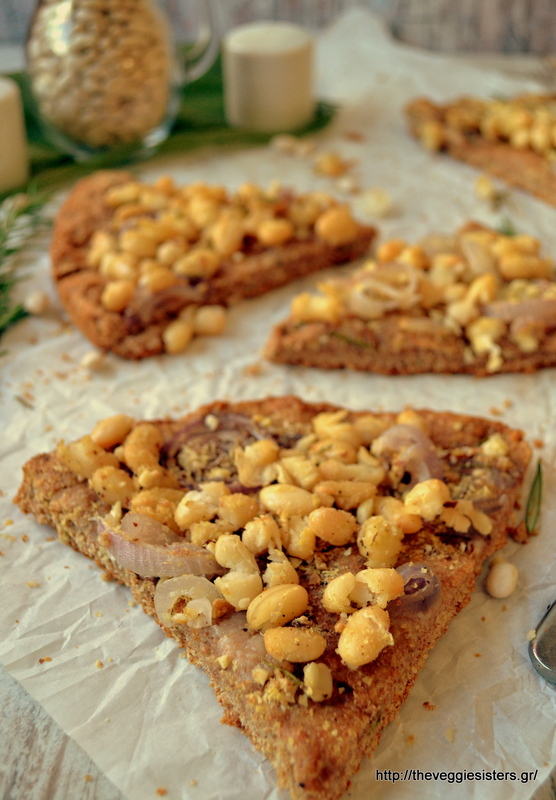 Then add beans, rosemary and sprinkle with the nut-nutritional yeast mixture. Bake for another 10-15 minutes. Remove from oven and allow to cool before serving. Enjoy! 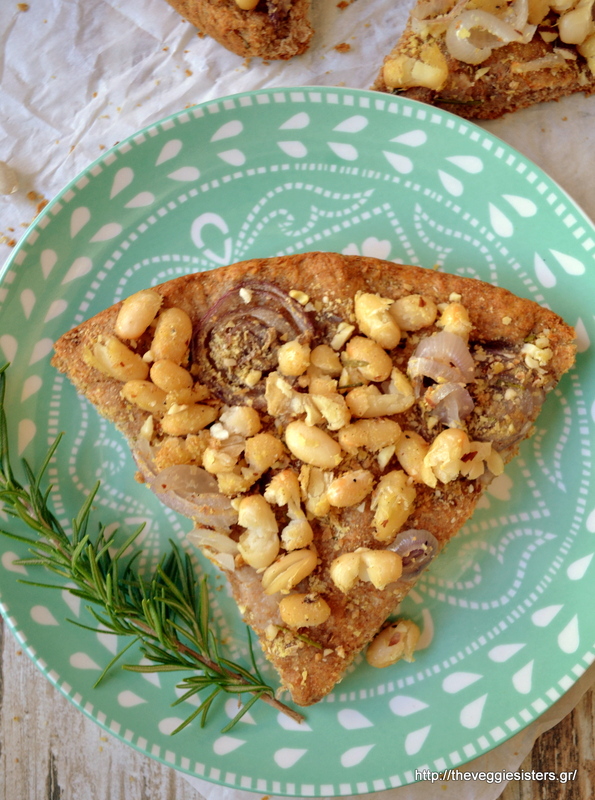 Share the post "Onion rosemary bean pizza"